With an anticipated national shortage within this sector, there is no better time than now to join this industry. During the first year of study, you will cover units such as psychology, sociology, anatomy and physiology, as well as equality and diversity and health and safety. You will also meet with guest speakers who specialise in this sector. Students will complete the Skills for Health Care Certificate in Year 1, a recognised qualification for employment in the sector. With an anticipated national shortage within this sector, there is no better time than now to join this industry. During the first year of study, you will cover units such as psychology, sociology, anatomy and physiology, as well as effective communication, equality and diversity, health and safety and lifespan development through the life stages. Students will complete the Skills for Health Care Certificate in Year 1, a recognised qualification for employment in the sector. There is an option for students to embark on the NHS Health Cadets Scheme and A&E Cadets. For your second year, you will choose to specialise in either Health Professions or Social Care. Students will have the option to base assessments and work placements around their intended destination in health or social care. These units are assessed internally through a range of presentations, report writing, health campaigns, essays and professional interviews. A DBS is required for this course. The cost is covered by the College. As a Level 3 Health and Social Work Professions student, you may have the opportunity to join the Health Cadets programme with the East Lancashire Hospitals NHS Trust (ELHT). This competitive programme includes extensive work experience at all ELHT establishments, alongside practical career related training. Students receive an exciting and insightful programme of events, presentations, mentorships and work experience, all aimed at helping you to determine your health related career path. 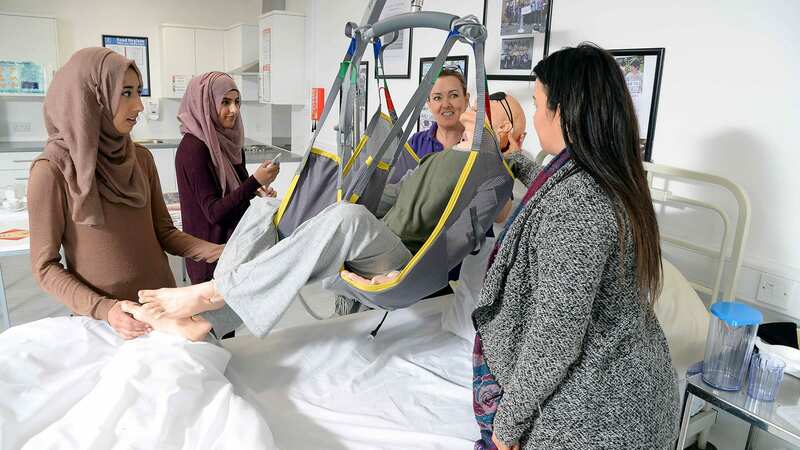 The Cadets is a challenging yet rewarding programme, providing excellent routes into professional training for clinical careers, such as radiography, speech and language therapy, nursing, mental health, dietetics or occupational therapy, as well as university.